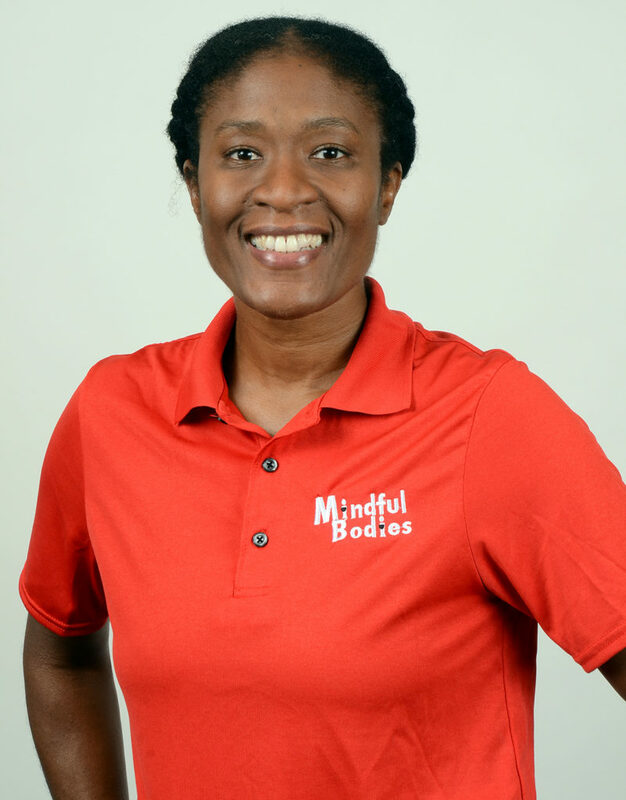 Mindful Bodies owner, Shawnta Wright (pronounced Shawn Tay), MA, LPC-S, NCC, is a Licensed Professional Counselor Supervisor, a National Certified Counselor , an AFAA group fitness instructor/ personal trainer, a licensed Zumba instructor, and the owner of Mindful Bodies LLC. Since 2005, Shawnta has been providing mental health counseling to adults, adolescents, children, families & groups. 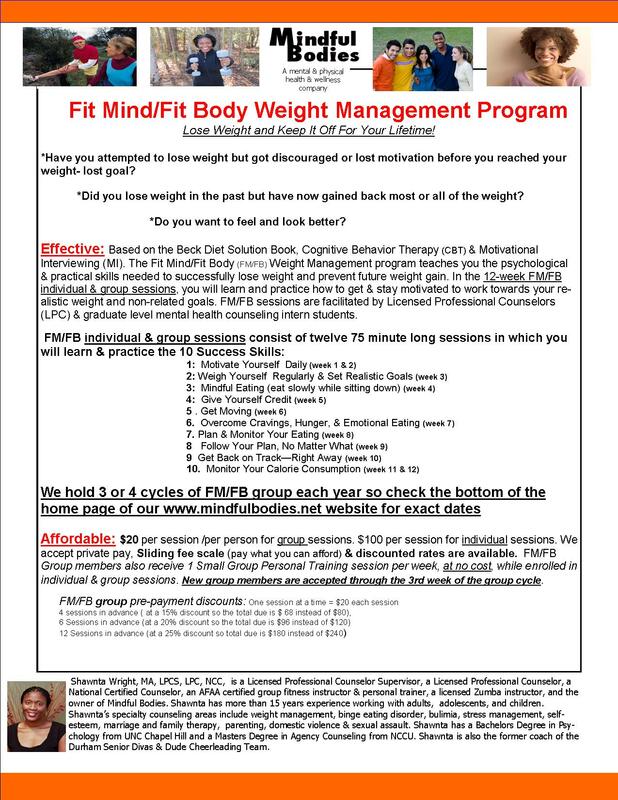 Shawnta provides counseling for general weight management, eating disorders, anxiety, depression, identity, stress management, self-esteem, self image, body image, domestic violence, sexual assault, couples, families & parenting issues. 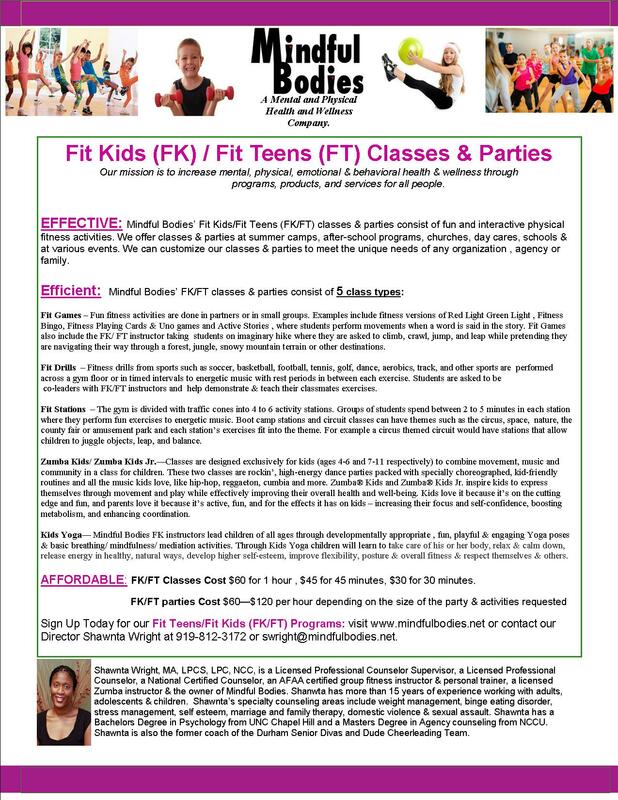 Shawnta offers mental health counseling to other therapists who are working towards issues that included but are not limited to work/ life balance, counter transference, self awareness, trauma, racial identity development, relationships, identity, general weight management, eating disorders & mood disorders. Shawnta is an LPC-S and she offers clinical supervision to counseling interns and LPCAs. Shawnta uses Cognitive Behavior Therapy (CBT), Gottman Method Couples Counseling, Motivational Interviewing (MI), Wellness based interventions & other modalities in counseling sessions. Shawnta has facilitated Incredible Years (IY) & Nurturing Parent Program (NPP) groups. 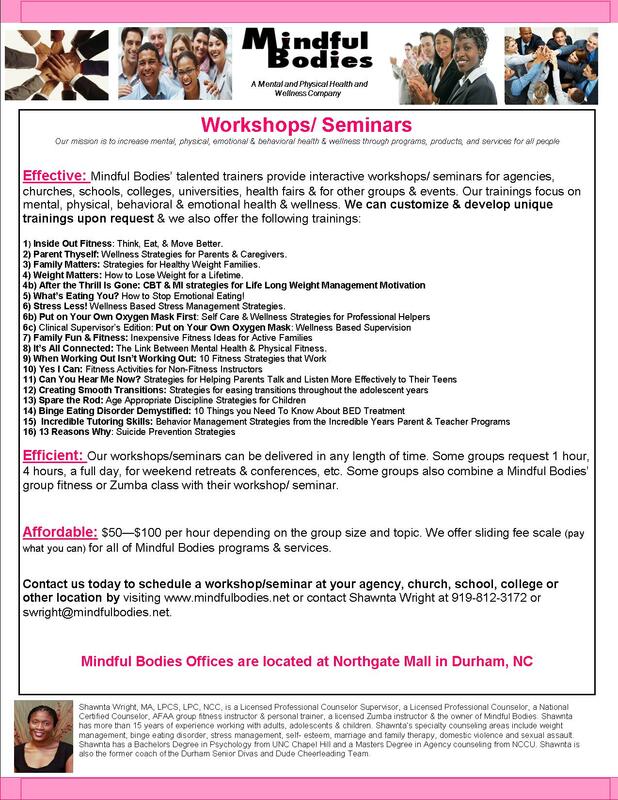 Shawnta has a Bachelors Degree in Psychology from UNC Chapel Hill and a Masters Degree in Agency Counseling from NCCU. 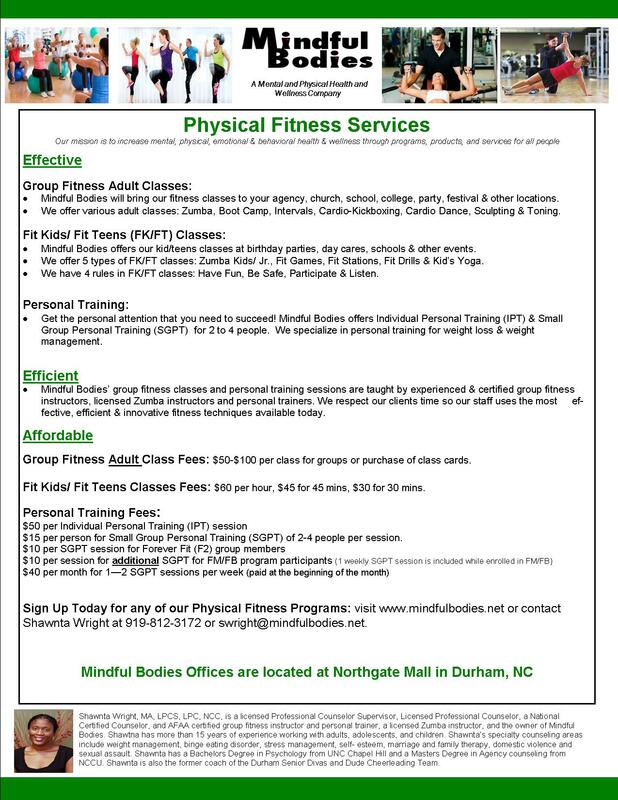 Shawnta is the former coach of the Durham Divas & Dude Senior Citizen Cheer-leading Team.